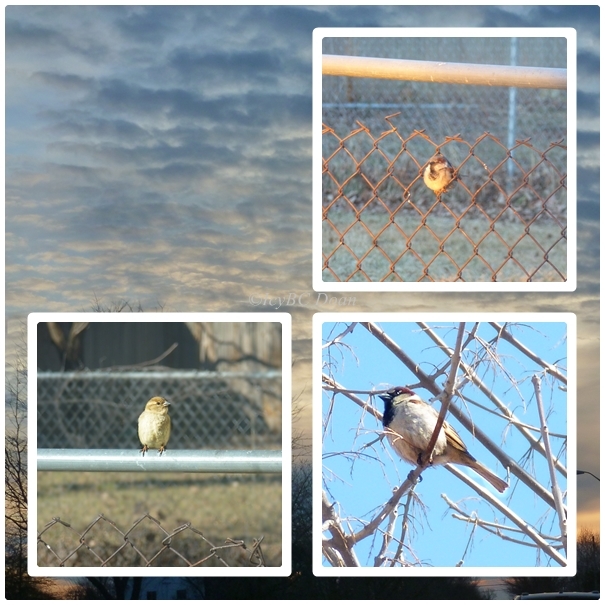 Lovely shots of the birds and the pretty sky.. We had rain yesterday and last night.. I hope today is better..Thank you for linking up to the critter party. Have a happy weekend! I wish we had some rain. Don't want to drop back into drought. 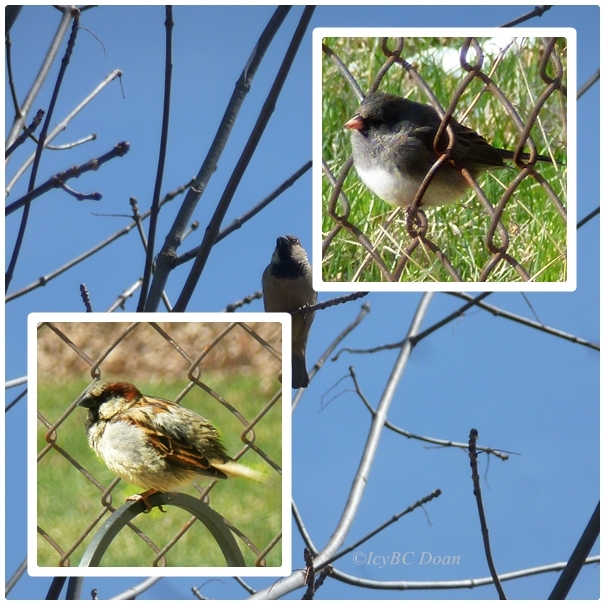 I love sparrows ... they are entertaining little guys! Happy Critter Day! just love the junco! and sparrows, too. cute, happy birds. HI Well I love looking at small birds and your shots are great. Have a wonderful weekend. Nice collages! Our bird population is dwindling too, I think many are nesting. Really nice photos and collages. Our bird population always drops this time of year, when the ones that were here for the winter, return home.